Italy is best known as a holiday destination. With its 7.500 kilometres of coast (much of which consists of beaches), majestic mountains, amazing cities, and stunning countryside, it’s by definition a place to spend some time doing nothing but enjoying it all. And let’s not start talking about the food and wine! Well, for some people all of these are also good reasons to move to Italy and start a new life there. Especially if they also have an Italian significant other. But how can you work in Italy as a foreigner? Where should you start looking for a job? Here on ItalianPod101, we’ll explain how to move to Italy and get a job. So, if you’re planning to start your own Dolce Vita, just keep on reading to learn about finding jobs in Italy. What Do I Need to Work in Italy? What are the Most Sought-after Jobs in Italy? Where Can I Find the Best Job Opportunities? ItalianPod101: Learn with Us and Build Your New Life in Italy! 1. What Do I Need to Work in Italy? EU citizens: EU citizens have very few requirements in order to find a job in Italy and start their life there. Non-EU citizens: For non-EU citizens, things are harder, since they need a work permit. In both cases, since many Italians, especially the older ones, don’t speak English or any other language except their own (and maybe a dialect), it’s better for you to learn Italian, at least to an intermediate level, before starting to look for a job there. Highly specialized jobs in a few scientific and engineering fields may be an exception, as English might be accepted as a language in the workplace. All EU citizens have the right to free movement within all the EU countries, which are: Belgium, Bulgaria, Croatia, Cyprus, Denmark, Germany, Estonia, Finland, France, Greece, United Kingdom, Hungary, Ireland, Italy, Latvia, Lithuania, Luxembourg, Malta, The Netherlands, Austria, Poland, Portugal, Romania, Slovenia, Slovakia, Spain, Czech Republic, Sweden. A valid ID document (passport or identity card). A codice fiscale (“fiscal code”), which is a unique identifier based on full name, place of birth, and birthday. It’s used for a great number of things, from submitting a residency request to getting a library card. Requesting this codice fiscale is pretty simple, especially compared to any other bureaucratic operation in Italy and—good news!—it’s also completely free. You just have to go to your local Agenzia delle Entrate and issue a request. You’ll immediately receive your code. There are even sites where you can calculate your fiscal code in advance, in case you’re curious. EU citizens have the right to free movement, as we said, but they still need to apply for residency in Italy if they plan to live in the country for more than three months. Things get harsher for non-EU citizens. This said, working in Italy as an American is a lot easier than working there as a person from Asia or Africa, due to the different ways non-EU immigrants are generally treated, according to their nationality. Visa: A Visa is issued for a specific purpose and therefore there are different kinds—tourist visa, student visa, employment visa, and so on. It has an expiry date and it establishes for how long you’ll be allowed to stay in the country. If you have a visa for the Schengen area, you don’t need another one to enter Italy. Residence permit (permesso di soggiorno): Within eight days of entering Italy, you must apply for a residence permit, which is the most important document for a non-EU citizen in Italy. The permit will reflect your visa (so you’ll receive a student permit if you have a student visa, an employment permit if you have an employment visa, and so on) and must be requested to the local Police Headquarters (Questura). Depending on the kind of permit you need, you have to make a request at the post office or directly at the Questura. Since the matter is complicated, we advise you to seek out more information at a local union office or association. The times for the release of the residence permit can vary greatly, from a few weeks to several months. In the meantime, you must keep the receipt they give you. Italy’s one of the most developed countries in the world. However, it’s facing a hard economic crisis that’s still far from being resolved. This means that it has a less-vital job market in comparison to other EU countries and a higher unemployment rate (which is 9.7% as of summer 2018). Moreover, undeclared employment is pretty common, regarding at least 3.3-million workers in Italy. Permanent contract (contratto a tempo indeterminato): A contract without an expiry date. It can be part-time or full-time. Fixed-term contract (contratto a tempo determinato): A contract with an expiry date, after which it can be renewed or not, according to the employer’s and the employee’s will. It can be part-time or full-time. Interim supply contract (contratto di somministrazione): A contract made between the worker and an agency (agenzia interinale) supplying workers to companies for a short period of time. On-call contract (contratto a chiamata): A contract without a fixed number of hours. The employer can request the employee to work according to the company needs with short notice. Apprenticeship contract (contratto di apprendistato): If you’re younger than 29 years old, you can be hired as an apprentice to learn a job. This kind of contract usually lasts between six months and three years. 3. What are the Most Sought-after Jobs in Italy? If you have highly valued skills and a good knowledge of Italian and English, you probably won’t have any issue finding a job in Italy. For example, it’s pretty easy to find marketing jobs in Italy if you have experience in this field. It’s the same for engineering, IT, management, and so on. You’ll also find good opportunities if you’re a qualified factory worker. For example, there are many jobs in Modena, Italy if you have skills and experience that can be useful in the mechanic industry. Jobs in Italy for English speakers include language teachers, interpreters, or jobs in the tourism industry. There can also be good jobs for Americans in Italy in companies working with American clients or seeking to expand in the USA. 4. Where Can I Find the Best Job Opportunities? There is a strong wealth gap between Northern and Southern Italy. So, if you’re willing to work in industry, marketing, fashion, IT, technology, and so on, you’ll probably have better chances of finding good jobs in Milan, and in the North in general. You can also happen to find IT jobs in Rome, Italy, but the real economic capital of the country is Milan. Jobs in Rome are mostly in the tourism field, or in anything related to university and the public administration. It’s pretty much the same for jobs in Florence, Italy, except for the fact that in Tuscany there is also a strong and lively textile industry. Jobs in Calabria, Italy or in basically any other Southern region are harder to find. That said, what’s the best way to find jobs in Italy? Sites: Indeed Italia, LinkedIn, Infojobs, Trovalavoro, and others can be useful for finding job offers. Agencies: The aforementioned agenzie interinali (“supply agencies”) can be a good way to find temporary jobs, especially in fields such as manufacturing, tourism, and food. Centro per l’impiego: The public job center. It can help you have an idea of the opportunities in your city and province. 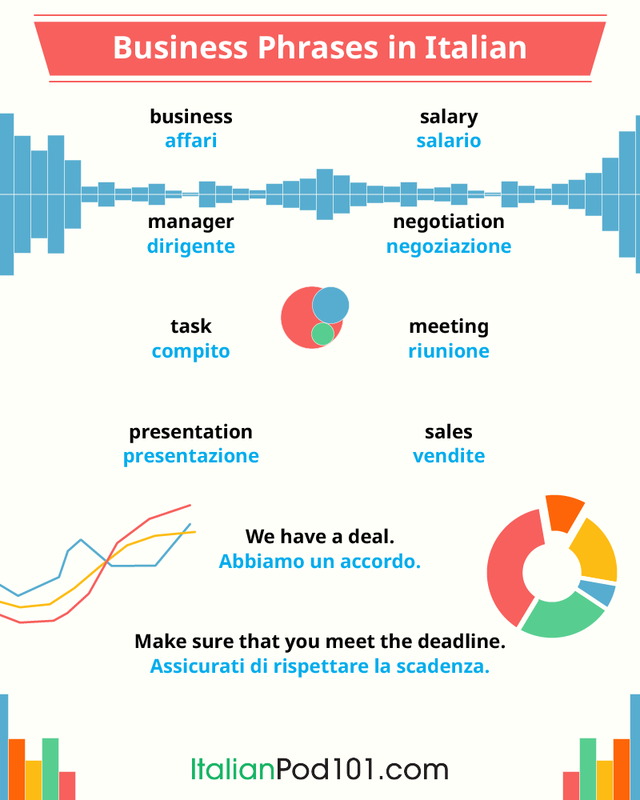 Relations: This is by far the best way to find a job in Italy. Try to meet new people working in your field, by going to expos, congresses, and so on. 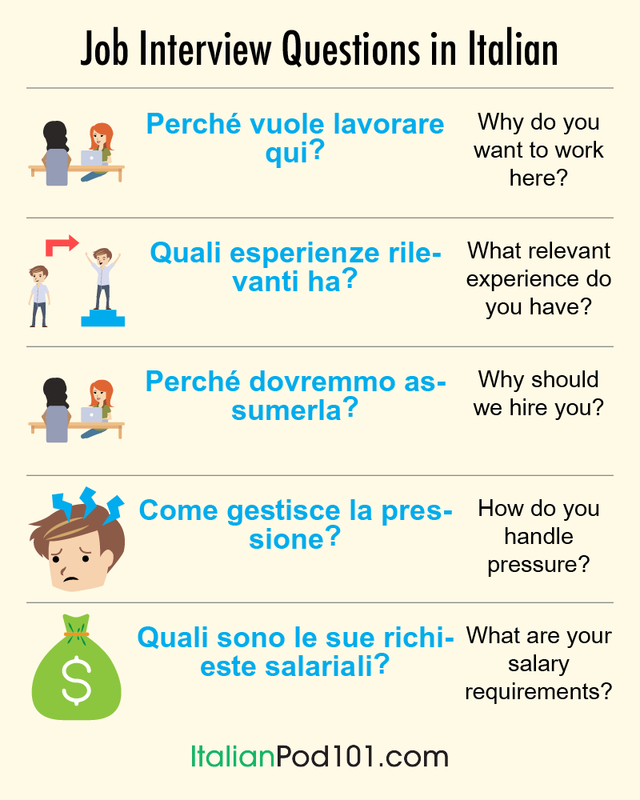 Wondering how to find a job in Italy for English speakers? Being a language teacher is among the most common jobs in Italy for American citizens, or for people from the UK and Australia. As for how to find a job teaching English in Italy, you can start by introducing yourself to language schools and universities, or place some ads on message boards by universities and schools, or put yourself out there online. 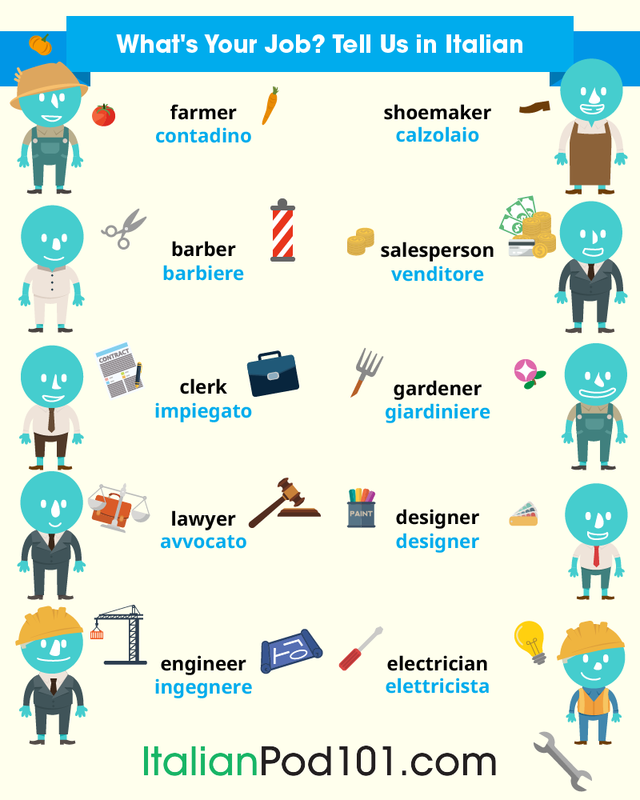 To work as a blue-collar, you’ll need to know the Italian grammar and written language. Moreover, it could take some time to get used to the Italian bureaucracy. In order to work in the healthcare field in Italy, you must have a recognized degree or diploma, and know the Italian medical terms. 7. ItalianPod101: Learn with Us and Build Your New Life in Italy! Start building the foundation of your new life in Italy with ItalianPod101.com! Learn the Italian language according to your current level and improve everyday, in a fun, engaging platform that will both teach and entertain you. Discuss with the other members of our community on our forum and learn everywhere you are with our amazing mobile apps! Finally, you can find out everything you need about working and living in Italy with our articles and guides! Yes, even beginners can quickly learn conversational Italian well enough to carry on real conversations with native speakers. Of course, beginners won’t be able to carry a conversation the same way they could in their native language. But, just knowing a few tips like which questions to ask to keep a conversation going are all you need to speak and interact with real native speakers! But before we get to specific suggestions, let’s first take a closer look at how having real Italian conversations is so vital to your mastery of the language. Communicating with other people is the very point of language and conversation is almost second nature in our native tongue. For beginners or anyone learning a new language, conversations aren’t easy at all and even simple Italian greetings can be intimidating and awkward. Master the Language Faster: Nothing will help you learn to speak Italian faster and truly master the language than having real conversations with native speakers. Conversations quickly expose you to slang, cultural expressions, and vocabulary that force you to absorb and assimilate information faster than any educational setting—and that’s a great thing! But how can you possibly have real conversations with real Italian people if you are just starting out? For beginners and even more advanced speakers, the key is to learn to ask questions to keep a conversation going. Of course, they can’t be just random questions or else you may confuse the listener. But, by memorizing a few key questions and the appropriate time to use them, you can easily carry a conversation with minimal vocabulary or experience. And remember, the more Italian conversations you have, the quicker you will learn and master the language! You don’t need to memorize 10,000’s of words to learn conversational Italian. In fact, with just a couple hundred Italian words you could have a very basic Italian conversation. And by learning maybe 1,000-2,000 words, you could carry a conversation with a native speaker about current events, ordering in restaurants, and even getting directions. If you want to know how to carry a conversation in Italian, then you need exposure to native speakers—and the more the better. Ideally, studying video or audio lessons is ideal because they provide contextualized learning in your native language and you can play them again and again until mastery. The Largest Collection of HD Video & Audio Lessons from Real Italian Instructors: ItalianPod101 instructors have created hundreds of video and audio lessons that you can play again and again. And the best part is: They don’t just teach you Italian vocabulary and grammar, they are designed to help you learn to speak Italian and teach you practical everyday topics like shopping, ordering, etc! 2000 Common Italian Words: Also known as our Core List, these 2,000 words are all you need to learn to speak fluently and carry a conversation with a native speaker! Although it may seem intimidating for a beginner, the truth is that it is very easy to learn conversational Italian. 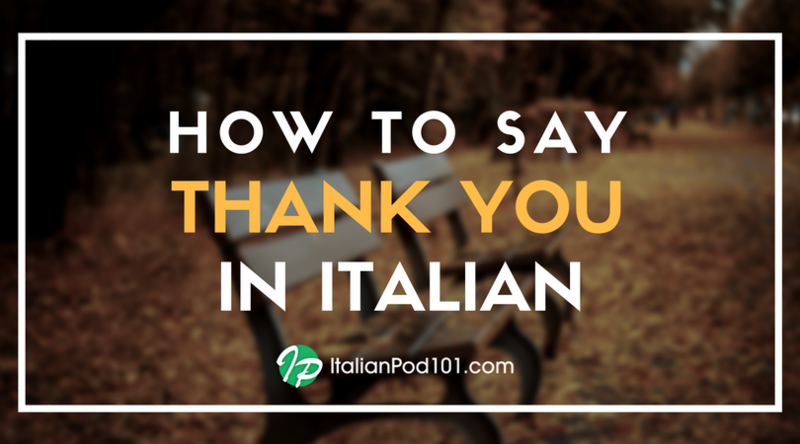 By learning a few core vocabulary terms and which questions to ask to keep a conversation going, just a little practice and exposure to real Italian conversations or lessons is all it really takes. 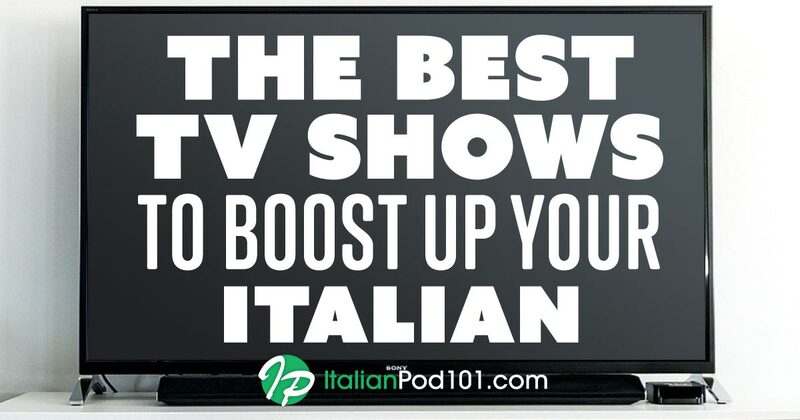 ItalianPod101 has created the world’s largest online collection of video and audio lessons by real instructors plus loads of advanced tools to help you learn to speak Italian and carry a conversation quickly. Going through Italian lessons is enough to get by and learn the basics of Italian, but to truly become fluent you need to be able to think in Italian. This will allow you to have conversations with ease, read smoothly, and comprehensively understand natives. To do this, you need to go beyond just completing daily or weekly lessons. We naturally translate in our heads because it’s viewed as the easiest way to learn the definitions needed when learning a language. This way of learning can actually hinder your skills and fluency later on. If your brain has to make neural connections between the word you’re learning, what it means in your native tongue, and the physical object the connection will not be nearly as strong. When you bypass the original translation between Italian and your native language then there is a more basic and strong connection between just the Italian vocabulary word and the tangible object. In this blog post, you will learn the 4 important techniques to easily and naturally begin to speculate about the daily occurrences in your life. The best part is all of these techniques are supported and can be achieved through ItalianPod101.com. Create Your Free Lifetime Account and Start Learning the whole Italian Language from the Beginning! By surrounding yourself with Italian constantly you will completely immerse yourself in the language. Without realizing it you’ll be learning pronunciation, sentence structures, grammar, and new vocabulary. You can play music in the background while you’re cooking or have a Italian radio station on while you study. Immersion is a key factor with this learning process because it is one of the easiest things to do, but very effective. Even if you are not giving the program your full attention you will be learning. One great feature of ItalianPod101.com is the endless podcasts that are available to you. You can even download and listen to them on the go. These podcasts are interesting and are perfect for the intention of immersion, they are easy to listen to as background noise and are interesting enough to give your full attention. Many of them contain stories that you follow as you go through the lessons which push you to keep going. Learning through observation is the most natural way to learn. Observation is how we all learned our native languages as infants and it’s a wonder why we stop learning this way. 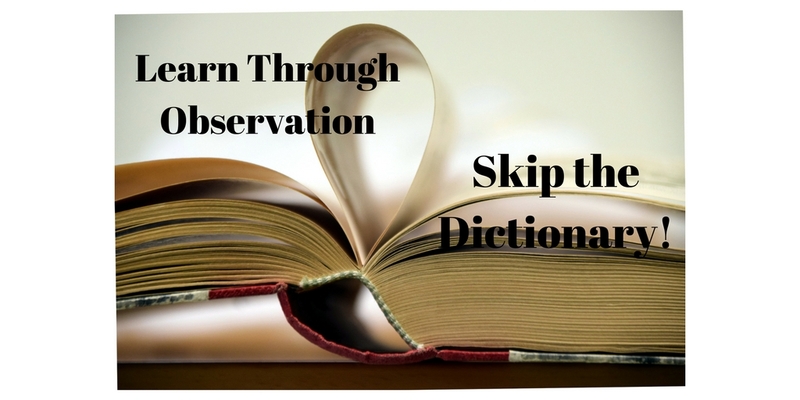 If you have patience and learn through observation then Italian words will have their own meanings rather than meanings in reference to your native language. Ideally, you should skip the bilingual dictionary and just buy a dictionary in Italian. ItalianPod101.com also offers the materials to learn this way. We have numerous video lessons which present situational usage of each word or phrase instead of just a direct translation. This holds true for many of our videos and how we teach Italian. Speaking to yourself in Italian not only gets you in the mindset of Italian, but also makes you listen to how you speak. It forces you to correct any errors with pronunciation and makes it easy to spot grammar mistakes. When you speak out loud talk about what you did that day and what you plan to do the next day. Your goal is to be the most comfortable speaking out loud and to easily create sentences. Once you feel comfortable talking to yourself start consciously thinking in your head about your daily activities and what is going on around you throughout the day. 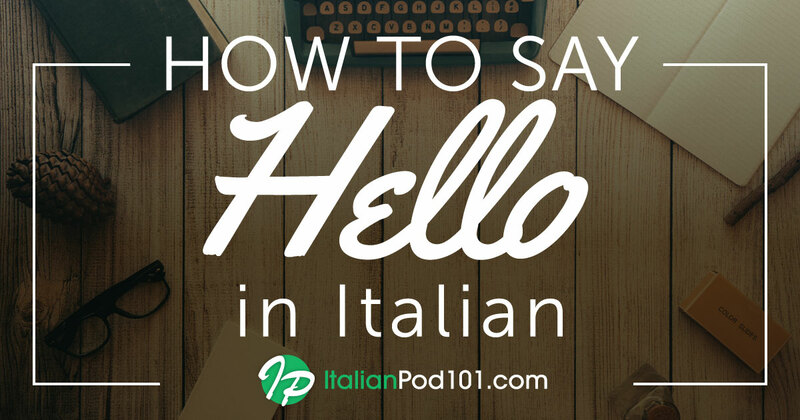 With ItalianPod101.com you start speaking right away, not only this, but they have you repeat words and conversations after a native Italian speaker. This makes your pronunciation very accurate! With this help, you are on the fast path to making clear and complex sentences and then actively thinking about your day. It’s tough to find motivation to study everyday, but ItalianPod101.com can help. It’s easy to stay motivated with ItalianPod101.com because we give you a set learning path, with this path we show how much progress you’ve made. This makes you stick to your goals and keep going! Following the steps and having patience is the hardest part to achieving your goals, it’s not easy learning a new language. You are essentially teaching your brain to categorize the world in a completely new way. Stick with it and you can do it just remember the 4 tools I taught you today! With them, conversations, reading, and understanding will become much easier. The most important thing to remember is to use the tools that ItalianPod101.com provides and you will be on your way to being fluent! Learn Italian With ItalianPod101 Today! Speaking is usually the #1 weakness for all Italian learners. This is a common issue among language learners everywhere. The reason for this is obvious: When language learners first start learning a language, they usually start with reading. They read online articles, books, information on apps and so on. If they take a class, they spend 20% of their time repeating words, and 80% of the time reading the textbook, doing homework or just listening to a teacher. So, if you spend most of your time reading instead of speaking, you might get better at reading but your speaking skills never grow. You get better at what you focus on. If you’re listening to a lesson and reading along, read out loud. Then re-read and speed up your tempo. Do this again and again until you can speak faster. Try your best to pronounce the words correctly, but don’t obsess about it. Read swiftly, emote and put some inflection on the sentences. Reading aloud helps to train the muscles of your mouth and diaphragm to produce unfamiliar words and sounds. 2. Prepare things to say ahead of time. Click here to learn the top 25 Italian questions you need to know. 3. Use shadowing (repeat the dialogues as you hear them). Shadowing is an extremely useful tool for increasing fluency as well as improving your accent and ability to be understood. Shadowing helps create all the neural connections in your brain to produce those words and sentences quickly and accurately without having to think about it. Also, as mentioned in tip #1, shadowing helps develop the muscle memory in all the physical parts responsible for the production of those sounds. Depending on what your primary and target languages are, it’s quite likely that there are a lot of sounds your mouth just isn’t used to producing. Shadowing can be done, for example, when watching TV shows or movies or listening to music. Each one of our lessons begins with a dialogue. 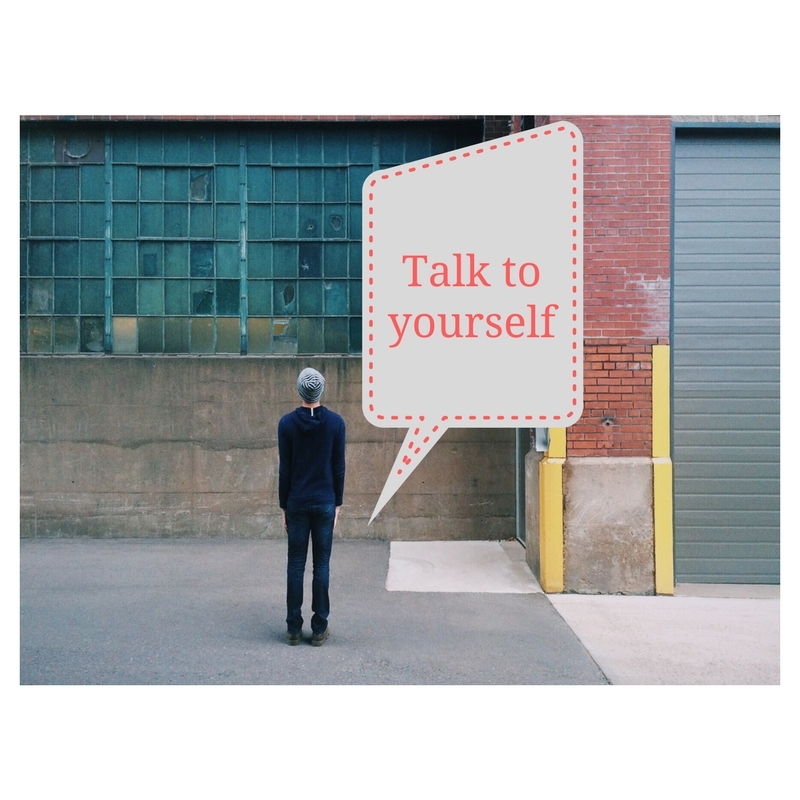 Try to shadow the conversation line by line, and you’ll be mastering it in no time. Click here to for a FREE taste of our Absolute Beginner series! 4. Review again and again. This is the key to perfection, and we can’t emphasize it enough. Most learners don’t review! If you review and repeat lines again and again, you’ll be speaking better, faster and with more confidence. 5. DON’T BE AFRAID TO MAKE MISTAKES! You’d be surprised by how many people try to avoid talking! The more you speak, the faster you learn – and that is why you’re learning Italian. Practice speaking every chance you get: whether it’s ordering coffee, shopping or asking for directions. You’ll want to know about these 2 new Italian learning tools and features. They’re great for reviewing, motivation and progress. One is an unofficial sneak peek. So what are they? The brand new Achievement Badges and the Word Bank! And… if you want to master Italian, unlock our proven learning system at 26% OFF and get a Bonus 6.5-hour Audiobook! 1. Ends Friday! Learn Italian with 26% OFF & a FREE Audiobook! No school. No stress. Learn Italian at your pace and start speaking in minutes with effective lessons! ‘Til Friday only, get 26% OFF any 1- or 2-year plan and a BONUS Italian Audiobook as a 2-for-1 deal. You get access to 170+ hours of audio and video lessons by teachers, lesson notes, motivational progress stats, apps, study tools and more. Just $2.96/month and up to $62.40 OFF. Hurry! Ends Friday, 8/28/2015! Click here to learn Italian and get 26% OFF. Up to $62.40 in savings. Learning Italian? You deserve recognition and motivation. So, if you’re a Premium PLUS member… you can now unlock new badges as your Italian improves. Your Premium PLUS teacher will give out badges as you complete weekly assignments. The result? You master more Italian, unlock badges for your progress, and stay motivated to keep going. Click here to learn about the Premium PLUS Achievement Badges! 3. Here’s a Sneak Peek at the Newly Redesigned Word Bank! We haven’t fully announced this yet… but here’s a sneak peek! The Word Bank – your personal collection of words and phrases – is better than ever. What’s new? First, a shiny new design. You can sort and manage your vocab and phrases with custom labels. And feel free to print out your entries as physical study material or export them as files! Not a Premium member? Take advantage of the 26% discount by Friday. Premium Users: Click here to access the New Word Bank! P.S. We’re giving you a BONUS 6.5-Hour Audiobook. Get 26% OFF by Friday! No school or textbooks necessary to learn Italian! In fact, you get a FREE Audiobook when you get 26% OFF any 1- or 2-year plan. 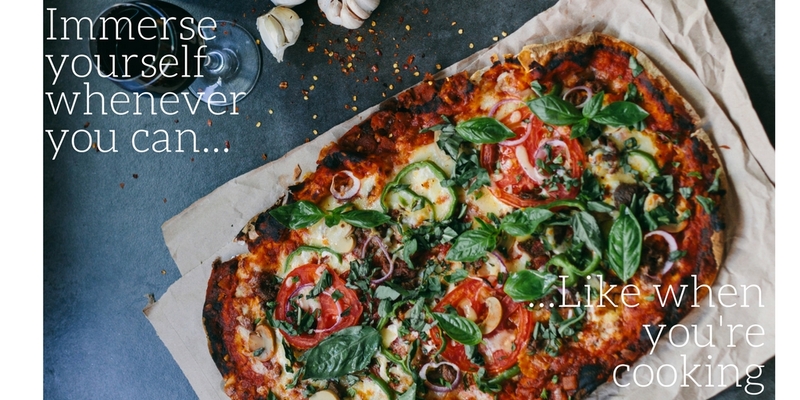 Master Italian in LESS time with this 2-for-1 deal! Unlock our learning system – over 170 hours of audio and video lesson by real teachers and more! Just $2.96/month and up to $62.40 OFF. Hurry! Ends Friday, 8/28/2015! Ends Friday! Click here to learn Italian and Get 26% OFF! There are plenty of destinations where you can get by with English, but sometimes you want to do better than just ‘get by’. 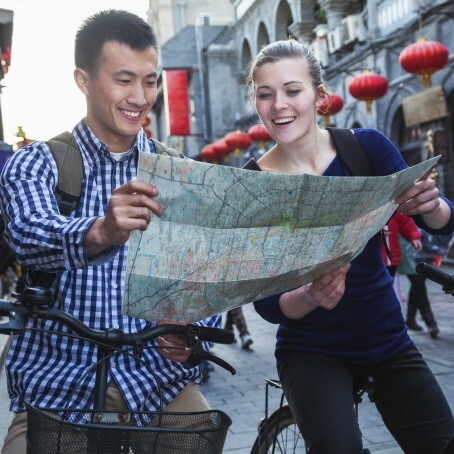 Here are 6 reasons you should learn the basics of the language of your next trip destination. 1. 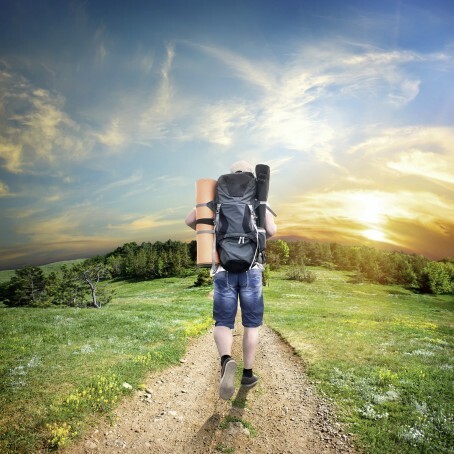 You will be able to discover your destination better than other tourists. Getting by is one thing, but actually experiencing a trip abroad is quite another. No amount of guidebooks and online research can compensate for a basic lack of language ability. Speaking the language of your destination permits you to explore that destination beyond the regular tourist traps. Your language skills will not only allow you to dig into all the hidden gems of your destination, but they will also allow you to mingle with the locals to get a true experience on your holiday. Think of it this way: you’re not restricted to talking to the people at the tourist desk anymore. 2. Knowing how to communicate with local police or medical personnel can be life-saving. Before you leave for your destination, make sure you learn how to ask for help in that destination’s local tongue. Do you know how to ask the waiter if this dish has peanuts in it? Or tell your host family that you’re allergic to fish? Can you tell the local doctor where it hurts? Moreover, an awareness of an environment improves your chance of remaining safe inside it. For example, walking around a busy marketplace, dazzled by an unfamiliar language, signs and accents will instantly render any tourist a more attractive mark for pickpockets. Communicating with other people, asking questions and looking confident will make you look like a semi-local yourself, and will ward off potential thieves. Traveling is much less stressful when you understand what that announcement at the airport was saying, or if this bus line reaches your hotel. These things stress you out when traveling and they disappear when you understand the language. This allows you to focus on planning your trip in a better, easier way. 4. Speaking the language can provide you with a way to get to know people you’d never otherwise have the opportunity to speak with. Sometimes those relationships turn into friendships, and other times they’re nothing more than a lively conversation. Either way, as Nelson Mandela said: “If you talk to a man in a language he understands, that goes to his head. If you talk to him in his language, that goes to his heart.” When you approach someone – even staff at a store or restaurant – with English, rather than their own language, an invisible divide has already been erected. Making even a small effort to communicate in the language of the place you’re visiting can go a long way and you’ll find many more doors open up to you as a result. 5. You’ll be a better ambassador for your country. If we’re honest with ourselves, we know very little about other countries and cultures, especially the local politics. And what we do know is often filtered to us by the media, which tends to represent only certain interests. When you can speak the local language, you’re able to answer questions that curious locals have about your country and culture. Are you frustrated with how your country is presented in global news? Are you embarrassed by your country’s leaders and want to make it clear that not everyone is like that where you’re from? This is a very good opportunity to share your story with people who have no one else to ask. We all have a responsibility to be representatives of the place we come from. 6. Learning another language can fend off Alzheimer’s, keep your brain healthy and generally make you smarter. Did you start this year out with a resolution to learn Italian? Haven’t found time to make it happen yet? Well, with students everywhere going back to school this month… Now’s a perfect time to renew your dream of truly learning Italian. Click here to get 26% OFF & a free Audiobook! How does it work? And how will you learn Italian? Learning Italian in a class simply isn’t an option for most of us with work, family and busy schedules. Between the excessive costs and the inconveniences of getting to class and working around someone else’s schedule, classrooms aren’t realistic. Click Here to Get 26% Off Any Annual Subscription & A Italian Audiobook FREE! That’s right: You learn whenever and wherever is convenient for you and at a pace you choose! And during the Too Cool for School Sale, just sign up for any annual Basic or Premium subscription by clicking on any link and we’ll instantly discount the price by 26%! And with a Premium plan, you’re unlocking the entire system…. Click here to get UNLIMITED access for just $0.24/day or $7.40/month! So for the next few days, that means you gain full access to our Basic plan for as low as just $2.96 per month or our most popular Premium plan for just $7.40 a month – a mere fraction of what you would pay for traditional classroom instruction! Don’t Forget Your FREE Italian Audiobook! Get the best of both worlds with real-life conversation and the in-depth explanations of a textbook! Listen to over 6.5 hours of lessons and read along with 200+ pages. You’ll get your free Audiobook instantly when you upgrade, inside the welcome email. Click Here To Learn Italian At 26% OFF & Get Your Free Audiobook! Remember, you get a 60-Day Money-Back Guarantee so if plans change or you are anything less than thrilled with our language learning system – we’ll promptly refund your entire order without any hassles or questions. But hurry: Although it’s never too late to make a fresh start and realize your dream of learning Italian, the Too Cool for School Sale ends soon, so…. P.S. All subscriptions are fully backed by our 60-day money-back guarantee meaning you can lock in your savings now and if you later decide that you’re not learning Italian as fast as you’d like, then we’ll refund your entire subscription amount. You have nothing to lose but you have to ACT NOW before this Too Cool for School Sale ends! Click here to get UNLIMITED Italian learning for just $0.24/day or $7.40/month! 3 Consistent Ways You’ll Learn Italian Fast: All New Lessons, Word Lists & 29% OFF! When you’re learning Italian and want real progress…look for the consistent method. One that’s non-stop and keeps you going. What’s a good one? ItalianPod101 Lessons – free audio and video lessons, every week. In fact, a new season of lessons has started this month that you can grab. Anything else? Vocab lists, where you learn new words and phrases all the time. And don’t forget that our 29% OFF Summer of Italian Sale ends Friday! Sale Ends Friday! Click Here to Get 29% OFF Basic or Premium! 1. Summer of Italian Sale ends Friday! Get a HOT 29% OFF! Want to speak and understand Italian like a native speaker? Get 29% OFF and start speaking Italian with lessons by real teachers. Unlock our entire Italian course and learning system – 170+ hours of audio and video lessons, mobile apps, lesson notes, study tools and more! Just $2.84/month and up to $69.60 OFF! Ends 7/31/2015! Click Here to Save up to $69.60 on the Most Effective Italian Course! 2. New Lessons Started this July – Here’s the 2015 Lesson Schedule! Now, we know that you want more lessons. They’re non-stop, free and get you speaking more Italian in minutes. So, you should know that new lessons and seasons started on July 6th. What kind of lessons? And what days do they come out on? Check the publishing schedule. And if you want to get our entire system – over 170+ hours of lessons – grab the 29% discount above! Click Here to See the New Lesson Publishing Schedule! Here’s another non-stop way to boost your Italian – Italian Word and Phrase Lists. They’re based on holidays, current events and all-around useful topics. Our listeners learned how to talk about their summer plans in Italian with a recent list! Just click below, access any list and review with definitions, sample sentences and audio pronunciation. Click Here to Access the Free Italian Word & Phrase Lists. P.S. Ends Friday! Get a HOT 29% OFF the Most Effective Italian Course! Ready to master more Italian this summer? Get 29% OFF any plan and start speaking Italian with lessons by real teachers. Unlock our ENTIRE learning system – 170+ hours of audio and video lessons, mobile apps, lesson notes, study tools and more! Just $2.84/month and up to $69.60 OFF! Ends 7/31/2015! Click Here to Get 29% OFF the Most Effective Italian Course! The Summer of Italian is in full swing at ItalianPod101. That means we’re helping thousands of people like you to learn Italian this summer! Yes, we are helping to make your dream of learning Italian easier and more affordable with a LIMITED TIME 29% OFF Basic and Premium. Up to $69.60 in savings! Click here to get a BIG 29% OFF! But you might be wondering: Which plan do I choose? Click here to save 29% on Any 1-, 3-, 6-, 12- or 24-month plan! With Premium, you get unlimited ItalianPod101 access – All lessons, lesson notes, study tools, smart flashcards, apps and more – and dramatically reduce your learning time. Premium is our most popular plan and is the fastest track to learning Italian. Premium Study Tools: 2,000 Italian Words List, Smart Flashcards, Word Bank, Lesson Checklists and More! Click here to unlock unlimited Premium access for just $7.10/month or $0.23/day! So essentially, if you are in no rush and want to learn Italian, then select Basic. But, if you want full access to more than a dozen time-saving tools and resources so you can learn Italian as quickly as possible, then Premium is best for you. But no matter which plan you choose, you get a full 29% off any length Basic or Premium plan during the Summer of Italian sale. Don’t delay. This ends July 31st, 2015. Click here to save 29% on 1-, 3-, 6-, 12- or 24-month Basic or Premium! Your investment is 100% risk-free. Your purchase is backed by a 60-day money-back guarantee. If you’re not speaking Italian as fast as you’d like and if you’re not blown away by the results, simply contact us for a full refund. So what are you waiting for? Click here to get 29% OFF plus UNLIMITED access to ALL lessons, tools and apps! P.S. Stop “dreaming about your dream” of learning Italian and make it a reality by signing up during our Summer of Italian Sale. With Premium, you get UNLIMITED access to our Italian learning system and save up to $69.60 instantly! Click here to save $69.60 and learn Italian with lessons from real teachers!